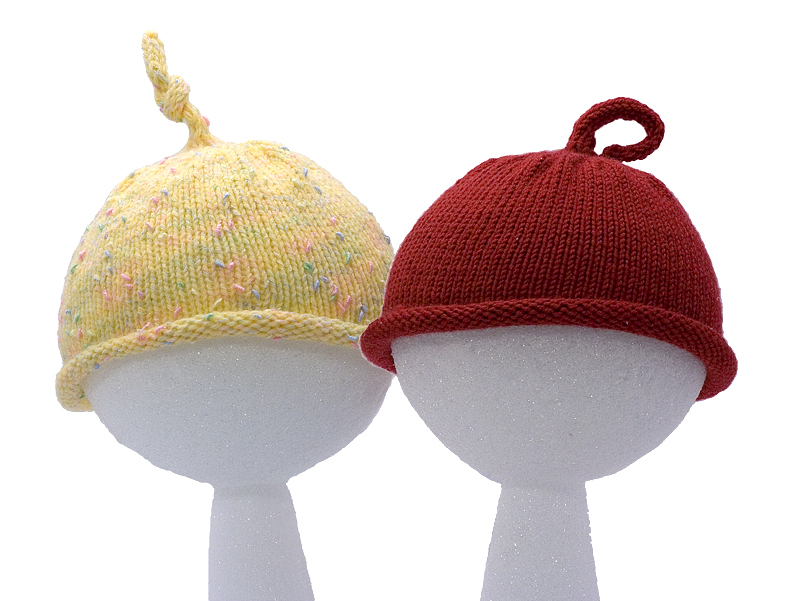 Sweet and simple baby hats for that special baby in your life. This pattern is a can't miss! Makes a great gift and knits up quickly. 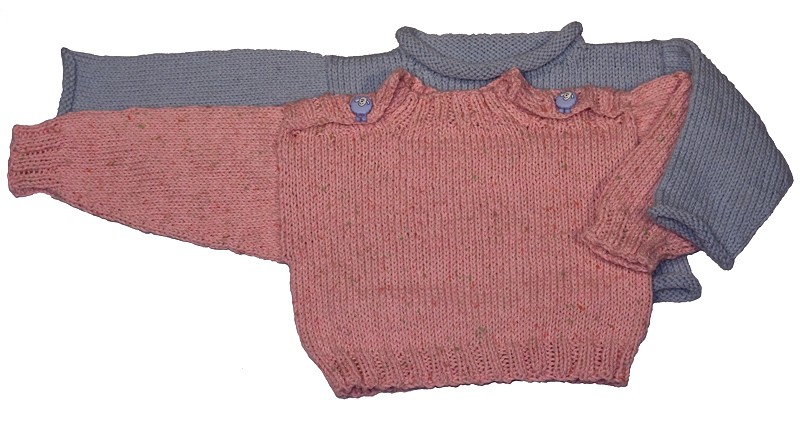 Finished Circumference:	12½", 13½", 15"
This simple baby sweater knitting pattern, designed to match our Baby Hat, comes in two styles — one with a rolled hem, neck and cuffs and one with a ribbed hem, neck placket and cuffs. Both versions are included on each pattern. 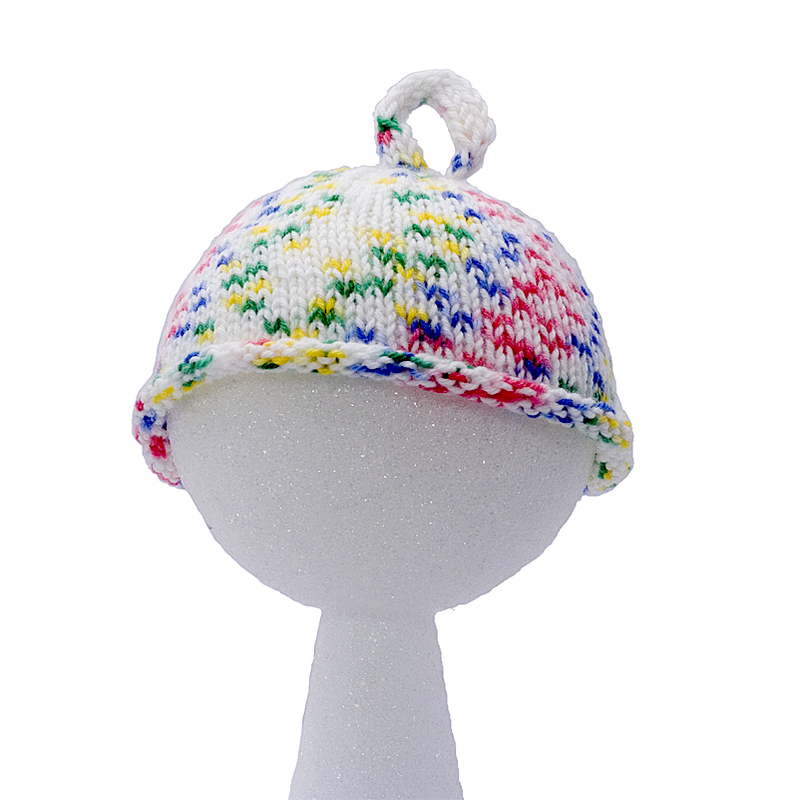 Both fit over that adorable baby head easily and comfortably and look great!